Video ads on websites have gradually become a trend and the number of websites serve video ads on their website is increasing everyday. Video ads are often short videos and will automatically play when a user sees them on the page. Web publishers are earning revenue from each of the video that is served from their website and video ads are typically paid on a CPM (cost per thousand) basis and this is why most of the video ads autoplay from the moment it appears on your screen. 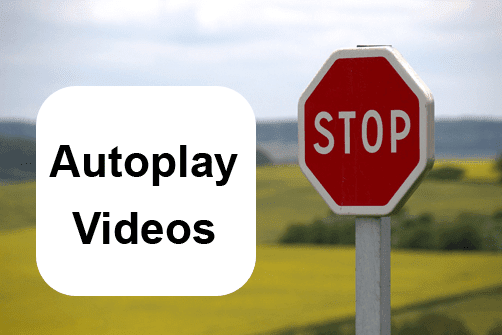 In general, the majority of the Internet users finds autoplay videos are annoying. This auto playing video experience is especially disruptive when a sudden unfamiliar voice or sound just blast through the speakers. In addition, video ads tend to consume more memory and bandwidth to display. Speaking from my personal experience, browsing a website that serves video ads will always slow down the browser speed. 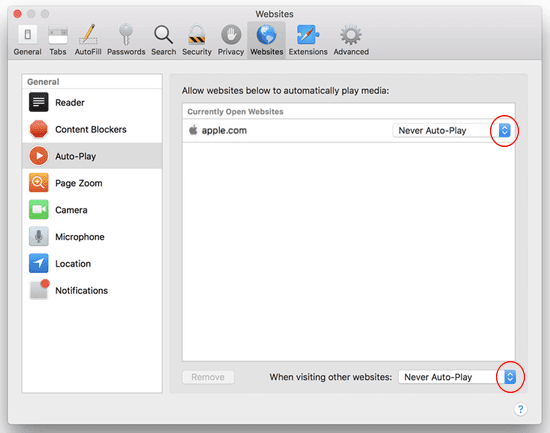 Fortunately, there are ways to stop autoplay videos in browsers and in the guides below; we are going to discuss the ways to stop autoplay videos in four most commonly used browsers which are Chrome, Firefox, Safari, and Edge. Please note that the following guides will only work on stopping autoplay videos on websites and may not work on Facebook. To stop a video from automatically playing on Facebook will require a different approach which you may refer to it here. By default, Mozilla Firefox browser is set to autoplay video. You’ll not find any options to turn this feature off under the general options. Instead, open a new tab and type about:config?filter=autoplay at the address bar and hit Enter. Firefox will then warn you with a message about voiding your warranty. Click on I accept the risk to proceed. Double-click at the media.autoplay.default preference and set it to 1. Autoplay video on Firefox browser shall be disabled by now. In case if you would like to turn it back on, you may follow the same steps and change the media.autoplay.default preference to 0. 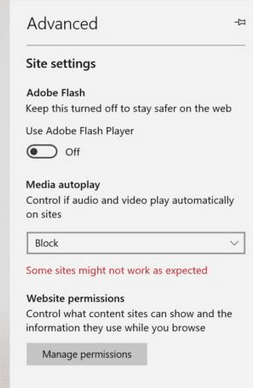 Microsoft Edge in Windows 1809 or later comes with the option to turn off the autoplay video. To access to this function, click on the three horizontal dots icon at the top right of the screen. Click on Settings from the menu that appears. Scroll down until you see the Advanced Options and click on Advanced. Under Media autoplay, change the option to Block. Android: On your Android device, Tap on the three vertical dots icon at the top right of the screen and select Settings. Select Site Settings under Advanced. Tap the option Media and then Autoplay to toggle the switch off. Copy and paste “chrome://flags/#autoplay-policy” at the address bar of the Google Chrome and hit on Enter. Under the Autoplay Policy, Change the selection from Default to Document user activation is required. Then click on the blue button Relaunch Now at the bottom right to restart Google Chrome to activate the changes you’ve made. Click on Safari menu, Preferences, Websites icon at the top and select Auto-Play on the left panel. On your right, it will display a list of websites that you’re currently browsing. If you wish to stop autoplay video on any of the listed websites, simply click on the combo box on the right of the listed website and change the option to Never Auto Play. To block autoplay video completely on all other websites, click on the combo box on the right of the When visiting other websites (at the bottom) and change the option to Never Auto-Play.